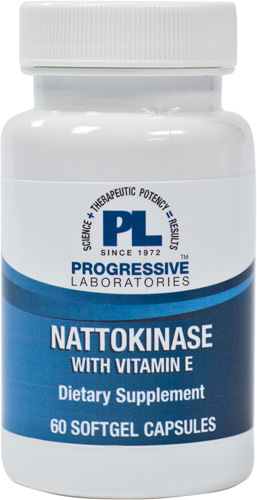 Nattokinase is a specialized metabolic enzyme derived from the Japanese food natto. This natural, fibrinolytic enzyme provides nutritional support for healthy circulation. rice bran oil, gelatin, glycerin, purified water, lecithin, yellow beeswax, turmeric and glycerin complex, titanium dioxide. Contains soy. One softgel capsule first thing in the morning and one at bedtime.